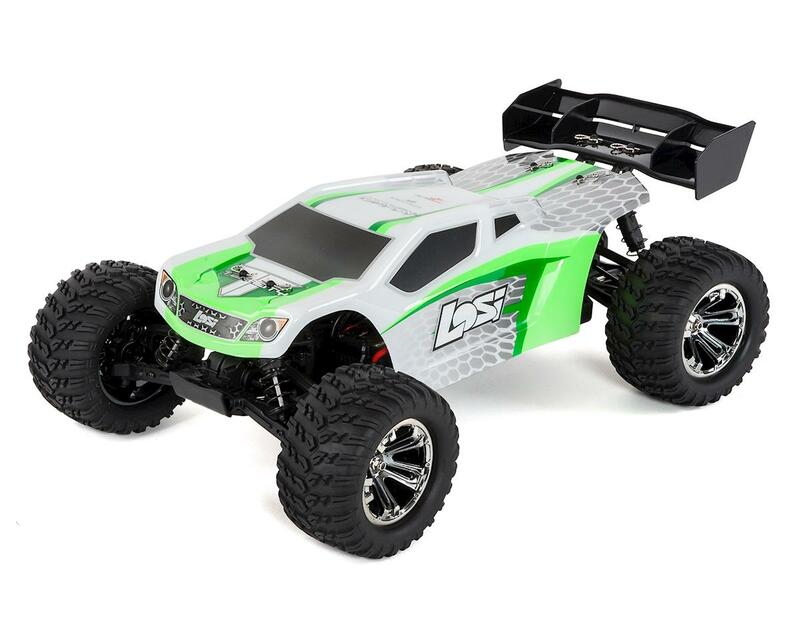 The Losi TENACITY 1/10 RTR 4WD Brushless Truggy is a super tough truggy based on the legendary Losi TEN 4WD platform. It's incredibly durable, fast and you can run it with the precision control of a Spektrum AVC system. 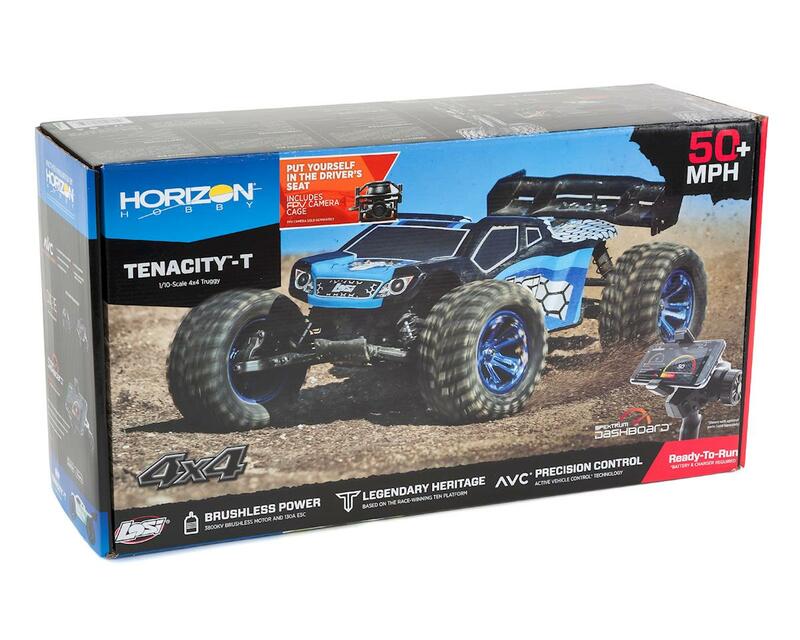 The TENACITY-T features a four-pole 3800Kv brushless motor and ESC from Dynamite that help you reach speeds of 50+ MPH on 3S power. And not only does the TENACITY-T include full metric hardware for worldwide compatibility, it has a composite chassis with a bottom-loading battery tray to keep things quick and easy. TEN 4WD Platform: Based off the durable, high-performance TEN chassis, the TENACITY-T features a composite lightweight chassis frame with excellent ground clearance so you can tackle any terrain. Dynamite 130A Brushless ESC and Fuze 4-Pole 3800Kv 550 Motor: The brushless ESC and motor provide off-the-chart power with a 2-3 cell Li-Po (sold separately)-with 3S power you can reach speeds of 50+ MPH! The ESC is waterproof, completely programmable and comes pre-wired with a high-current EC3 connector. It works with most sensorless brushless motors and is 2S and 3S Li-Po and Ni-MH compatible. 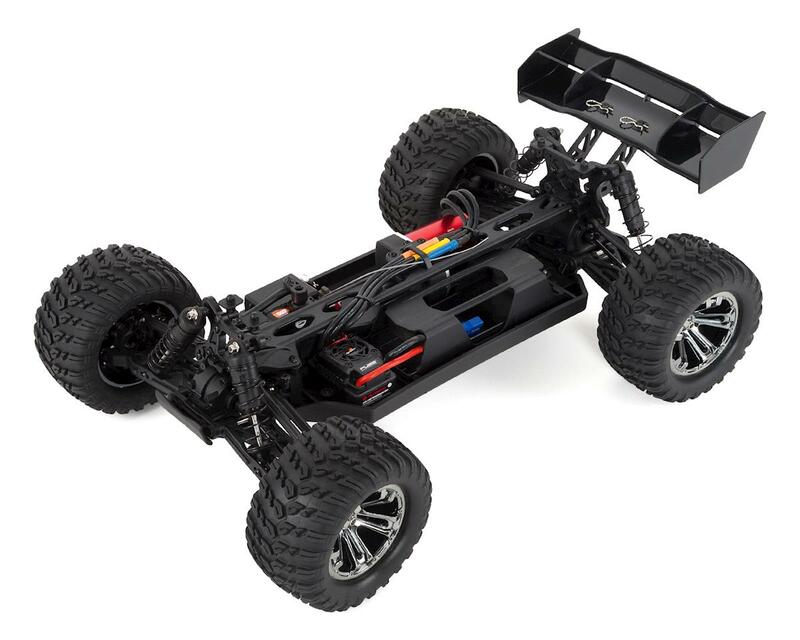 Race-Inspired Body: This truggy features a race-inspired truck body with sleek graphics. Waterproof Components: All components are waterproof so you can drive in wet conditions, no problem. 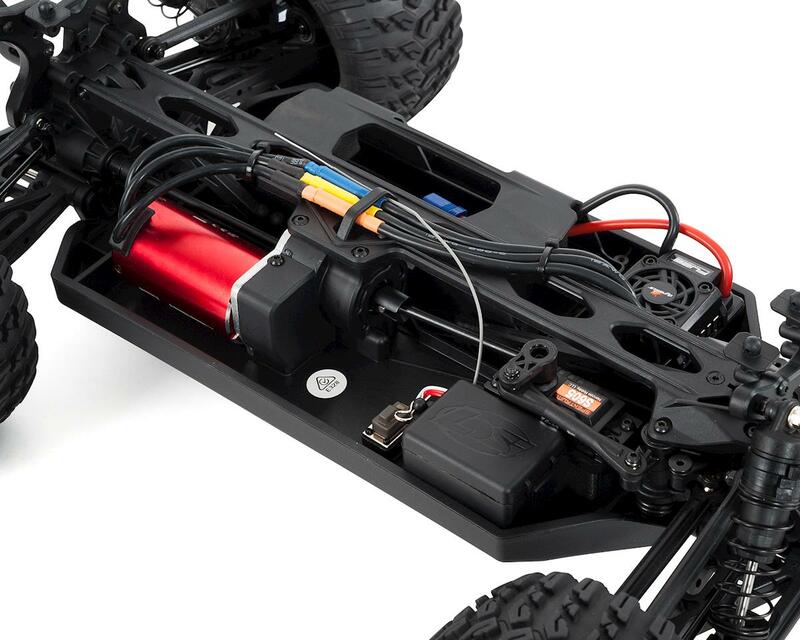 Bottom-Load Battery Tray: To help withstand the trials and tribulations of off-road driving, the TENACITY-T was built on a durable reinforced composite chassis with a bottom load battery compartment. Quickly and easily make battery changes without removing the body. 12mm Race Inspired Composite Bodied Shock Absorbers: These provide a high level of stability and control on even the roughest terrain. Stylish Wheel and Tire Design: Comes with an off-road style wheel design and a trench-digging tire that can plow through almost any conditions. Spektrum DX2E ACTIVE radio system with AVC: The TENACITY-T comes with a reliable Spektrum radio and the convenience of AVC (Active Vehicle Control). Also includes the SPMSRS6000 receiver with steering priority for superior control. 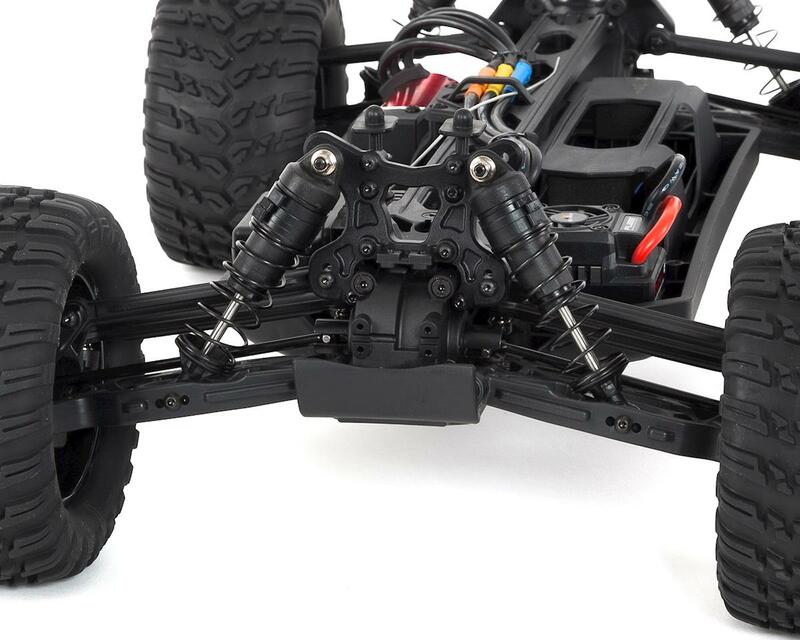 Full-Throttle Freedom of AVC Technology: When you're ready to let the brushless motor off the chain, don't hold back. 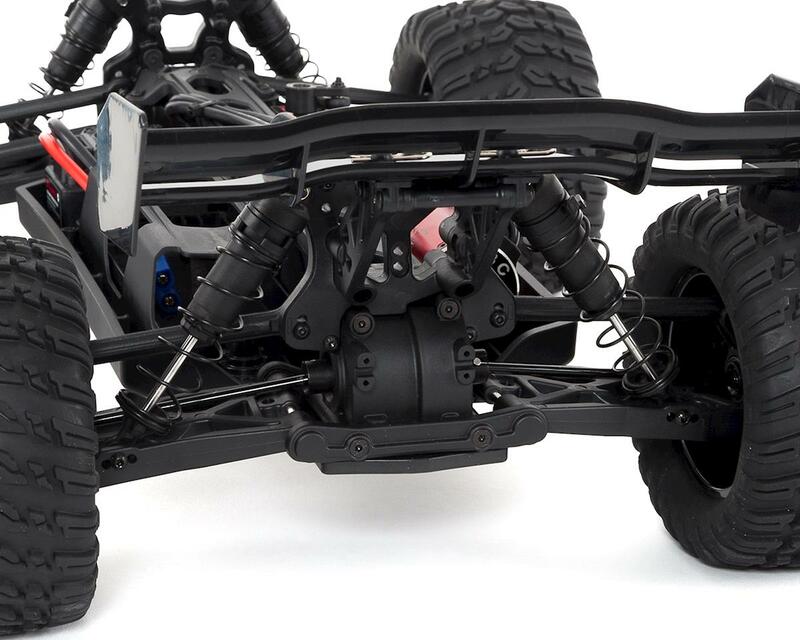 The receiver's built-in AVC (Active Vehicle Control) system will make hundreds of tiny throttle and steering adjustments per second, so more of the motor's power is translated into ballistic speed and acceleration instead of just flying dirt. 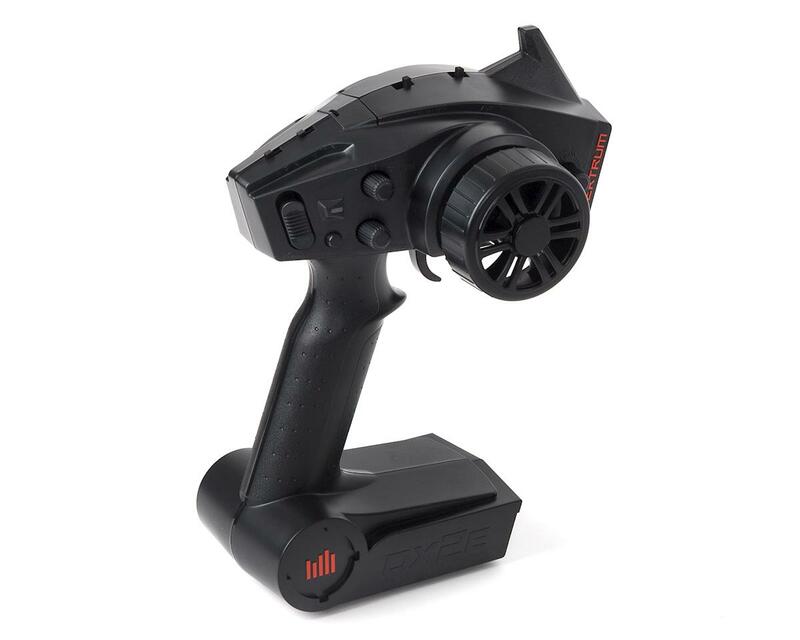 Speedometer Option: The Spektrum DX2E ACTIVE with telemetry lets you measure your actual speed via an optional speedometer that plugs into the DX2E ACTIVE.